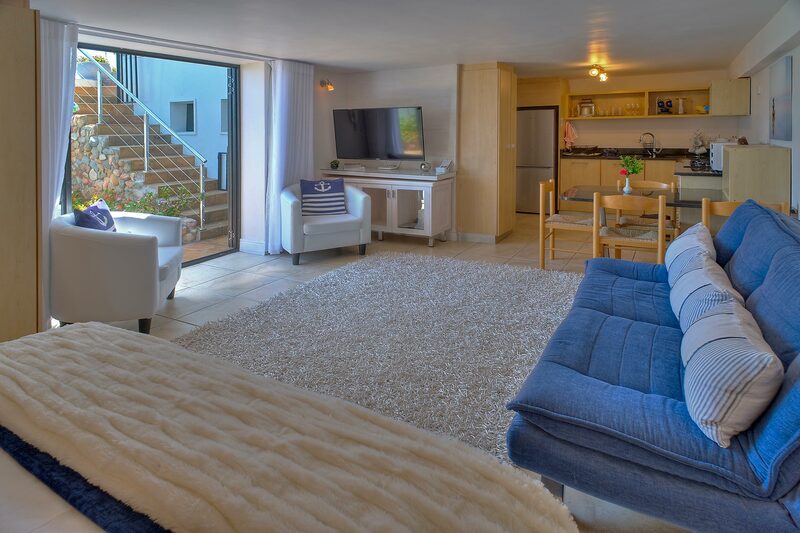 Open-plan apartment next to the sea! 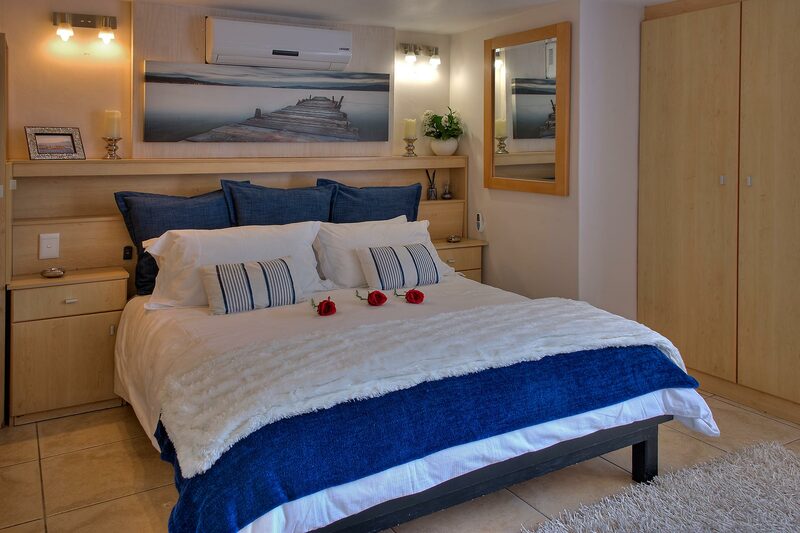 In this self-catering apartment next to the sea all you will hear is the romantic sound of the waves lapping on the rocks just a few meters away. 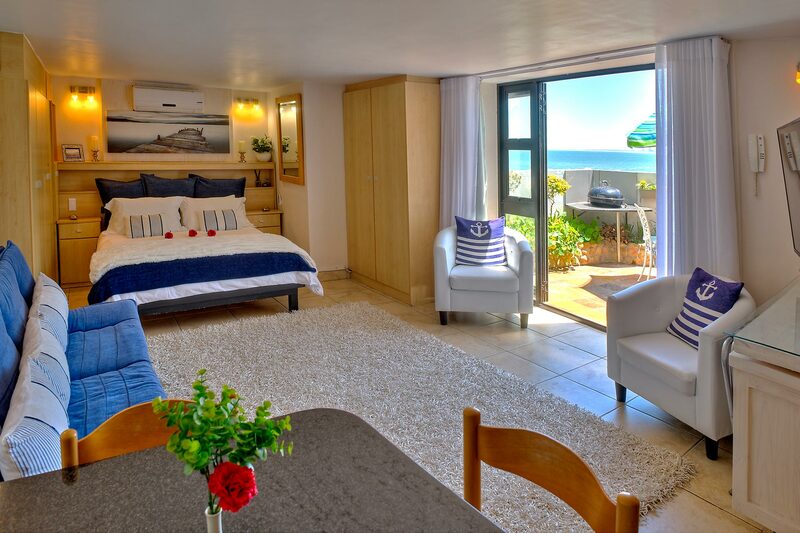 With its own private entrance to Beach Road the Seaside Studio has a delightful garden courtyard where you can dine, enjoy the sunshine or barbecue on a granite slab as you watch the activity on the ocean or enjoy spectacular sunsets and lights across the bay. It is also ideal for a young family to play safely. You can also enjoy an even more spectacular sea view from the pool deck just 5 meters away. The shower room, although small, is chic with glass and granite and has a sea-view window. 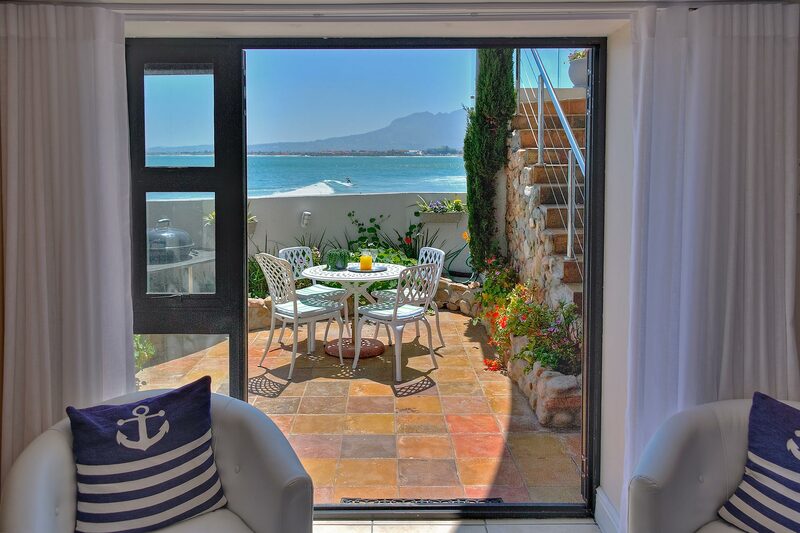 The lounge French doors open to the courtyard creating large sunny living area with a sea view over the privacy courtyard wall. In winter the sunshine streams in through the windows to add extra pleasure. 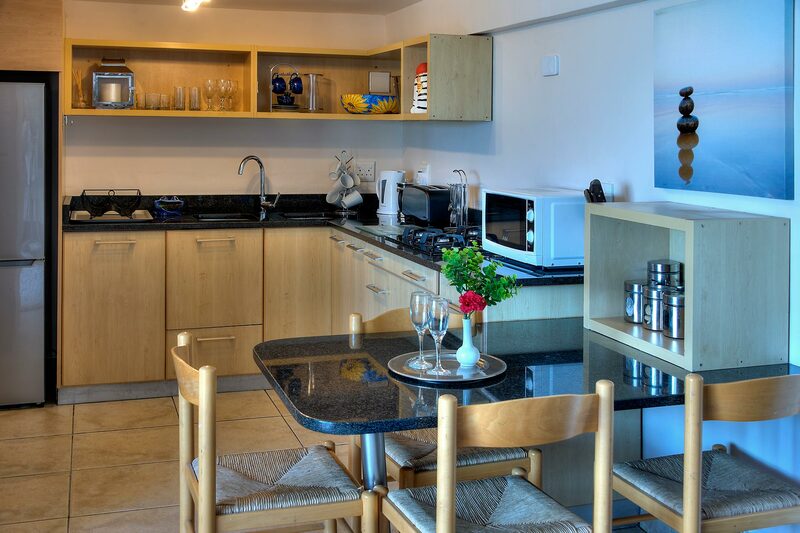 With the cosy quality finishes this apartment is perfect for a romantic occasion and, with generous cupboards space and being fully-contained, this bachelor apartment is also ideal for a honeymoon, celebration or long-stay guests. Barbecue: Charcoal Weber barbecue on granite counter with sea view. 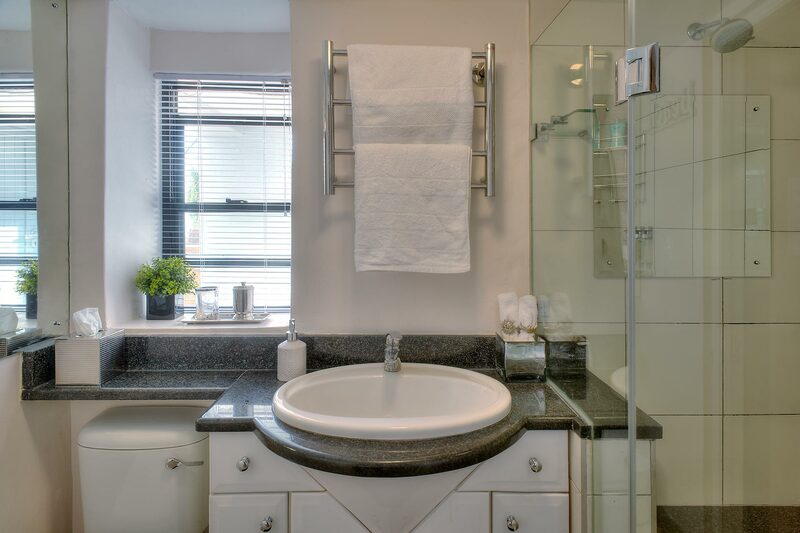 Bathroom: Compact, modern with sea view; shower with granite seat; heated towel rails. Access: Private entrance to ground floor Beach Road. No steps.